Welcome back, Commander! 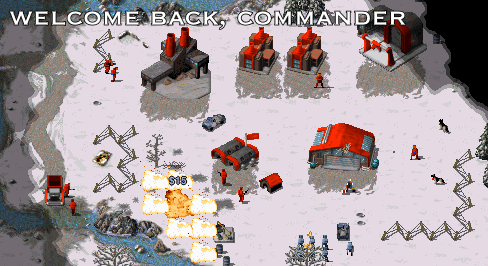 Popular Red Alert strategy game, rebuilt for the Mac computers. Available for free. In a Red Alert game world where Germany was assassinated and the Third Reich never existed, the Soviet Union seeks power over all of Europe. Allied against this Evil Empire, the free world faces a Cold War turned super hot. The Red Alert mod focuses on strategy, providing a range of units and tactics to conquer the land, sea, and air. Fixed servers showing as “Waiting” in the server list after play has started. Fixed a crash in the lobby if the admin changes the map while a player is joining. Fixed part of the lobby UI disappearing after transferring admin to another player. Fixed players showing as “Anonymous” in the lobby after switching from another mod. Fixed a crash when using the /level up cheat with units that are already veteran. Fixed rare crashes when using Attack Move, and when ordering aircraft to land. Fixed bugs with the Chronoshift killing Construction Yards and duplicating MCVs. Fixed a glitch if the owner surrenders while a tech-structure is being captured. Fixed a rare bug where units become uncontrollable after exiting a transport. Fixed compatibility issues with certain older GPUs. Removed tech-structure abilities from campaign-specific buildings in Red Alert. System requirements: The program requires OS X 10.7 or later. Mono 4.6 or later is required.